Westmoreland stood up for a more active participation of the US military contingent in the destruction of bases and guerrillas of Vietcong. Unlike Westmoreland, Abrams wanted to get Vietnam directly involved in the war. McKiernan used to say that the USA could win all battles, although it would not mean a victory in the war. The USA needed to win the battle of ideas, the general believed. Such an approach, as it seems, completely corresponds with the principles of Obama’s policies in Afghanistan. Moreover, McKiernan was following those principles six months before Barack Obama took office. Why was he fired? Probably, McKiernan could not achieve any considerable results, which the White House needed. One may understand the concerns of Robert Gates about the urgent need to improve the situation in Afghanistan. Obama, who inherited the war, in which he does not want to participate and in the success of which he probably does not believe much, would like to celebrate a victory at the theater of war in Afghanistan. This seems to be the only explanation to the approval of 54-year-old Gen. Stanley McChrystal. Lieutenant General Stanley McChrystal previously served as Director, Joint Staff from August 2008 to June 2009 and as Commandeer, Joint Special Operations Command from 2003 to 2008, where he was credited with the capture of Saddam Hussein and death of Abu Musab al-Zarqawi, leader of Al-Qaeda in Iraq, but also criticized for his role in the investigation of the Pat Tillman friendly fire incident. McChrystal will now be in charge of 56,000 US servicemen and 32,000 foreign military men serving in Afghanistan. McChrystal will also be in charge of observing the implementation of Obama’s new strategy to increase the military presence in Afghanistan and decrease the contingent in Iraq. 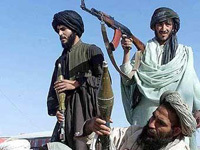 McChrystal said in an interview with the BBC that his prime goal would be to suppress the activities of Afghan gunmen. He said that the United States would have to revise all rules and instructions for the military to emphasize the US role to protect Afghan civilians. For the time being, pinpoint air raids of the US aviation result in numerous casualties. Will Stanley McCrystal justify Robert Gates’s hopes? No one would dare to make an optimistic forecast about it.